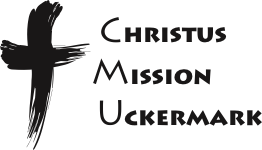 It is our goal to sustainable reach the Uckermark with the good message of Jesus Christ. We believe in a good God, that has great plans for the people of this area. The love and power of God is more than enough to transform Your life and its our desire that you encounter God's love personally. This site is constantly enlarged and remade, please visit us again soon - You will enjoy! You can find a lot of our sermons online on SoundCloud!